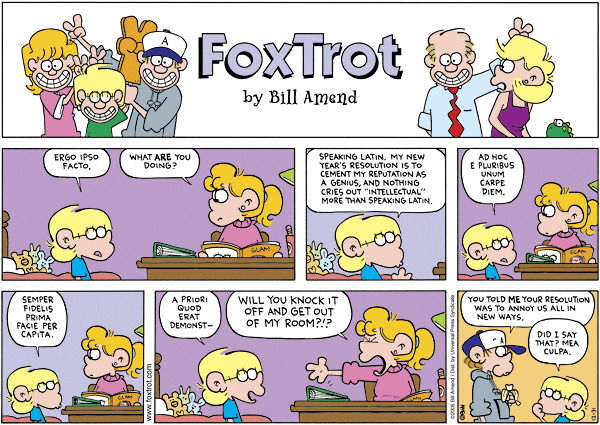 Latin is the language of the ancient Romans! Did you know that many English, French, Spanish, Italian, and Portuguese words are derived from Latin? In addition, medical, scientific, and law terms are also derived from the ancient Latin language! Learn about Roman gladiators, the ancient city of Pompeii, Greek and Roman mythology, and the ancient Latin language! Link to BCSS Latin Website! 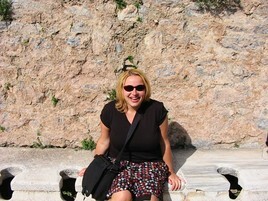 Ms. Tiemersma sitting on some Roman toilets at Ephessos, Turkey! Don't forget to view the second page! We offer three courses in the Latin language and culture, as well as a grade 12 course on Classical Civilizations (Greek and Roman mythology, history, archaeology, art, and literature). Bear Creek is the only school in the S.C.D.S.B. to offer the Grade 12 Classical Civilizations course! Latin and Classics courses offered at BCSS.